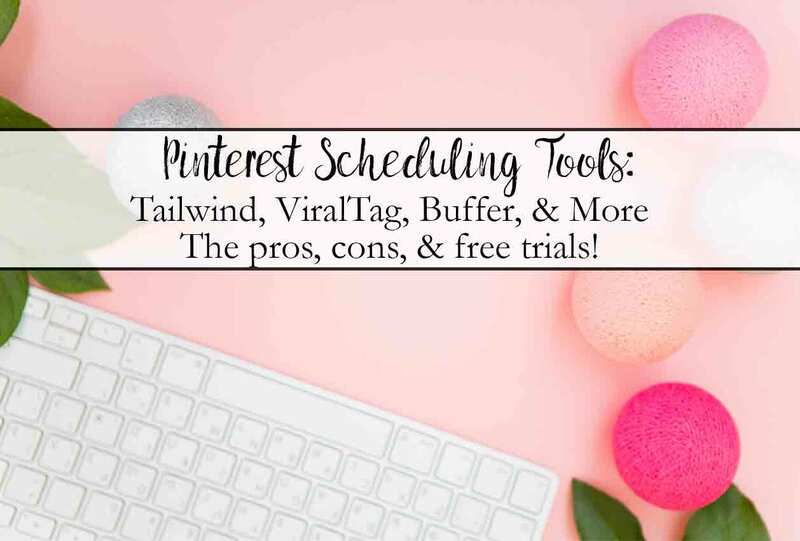 If you’re getting serious about blogging, you’ve probably run into the Pinterest scheduling conundrum. You need to pin regularly (very, very regularly). But who has the time to go pin 10-20 (or more) pins a day? Without completely ruining their schedule and productivity that is. Let’s be honest…we all could. But it doesn’t leave a lot of time for everything else. Pinterest is VITAL for a successful, long-term blog. Even if you think your niche doesn’t fit, think again. People go to Pinterest specifically to visit content. They’re not there to chat with friends. They’re visiting with the intent of clicking through to content. On Pinterest, you don’t have to build up a following to have people see your pin. Pinterest functions as a search engine, so if your pin is done right (See “8 Ways to Create Pinterest Images“), it will show up to people. Other social media networks- your content only shows up to your followers. Knowing how powerful Pinterest is, you’re probably wondering how all those successful bloggers stay caught up on Pinterest. So, if you’ve ever asked Tailwind vs. ViralTag -or- Tailwind vs. Buffer -or- Tailwind vs. HootSuite, this is the post for you! This post contains some affiliate links for your convenience (which means if you make a purchase after clicking a link I will earn a small commission which helps keep my blog up and running but it won’t cost you a penny more)! Click here to read my full disclosure policy. All of my opinions are COMPLETELY honest. I pay for my own monthly subscriptions to the services I use and have not been compensated for sharing my opinion. I’m going to start with Tailwind for three simple reasons. 1) It’s what I use. I’ve tried out some other methods, and this is the one that works for me. 2) It’s Pinterest approved. That’s important. 3) It offers the most useful features. I’ve broken down the major features below along with screenshots. It’s easier to analyze the pros and cons of each feature. In addition, there is a FREE trial (with no credit card required). And the price after that is one of the cheapest options. Only $9.99 a month (for the annual plan) or $15 a month if you pay month-by-month. I paid the annual fee immediately after trying the trial. It has been worth much more than the tiny ten dollars a month I’m charged. • Recommended time slots. Tailwind analyzes your pins and stats over time and recommends time slots to pin in. You can, of course, pick the manual time. But I often use their recommended times. • Can pin to multiple boards at the same time. At any interval you want…20 minutes, a day, 7 days, etc. • Intuitive to use basic features. • Great stats on board performance. I just started examining these because I need to drop a few group boards. • More advanced features need a bit of a walk-through. But honestly, two screenshots is usually enough to explain it. Not overly technical. • Advanced insights on your personal pins are limited without the professional plan (which is ridiculously expensive). But you can honestly get those same stats through Pinterest Analytics and Google Analytics. Verdict: YES! My number one choice. Easiest scheduling feature out of them all. Drag and drop to move any scheduled pin. Board Lists are one of the best features in Tailwind. 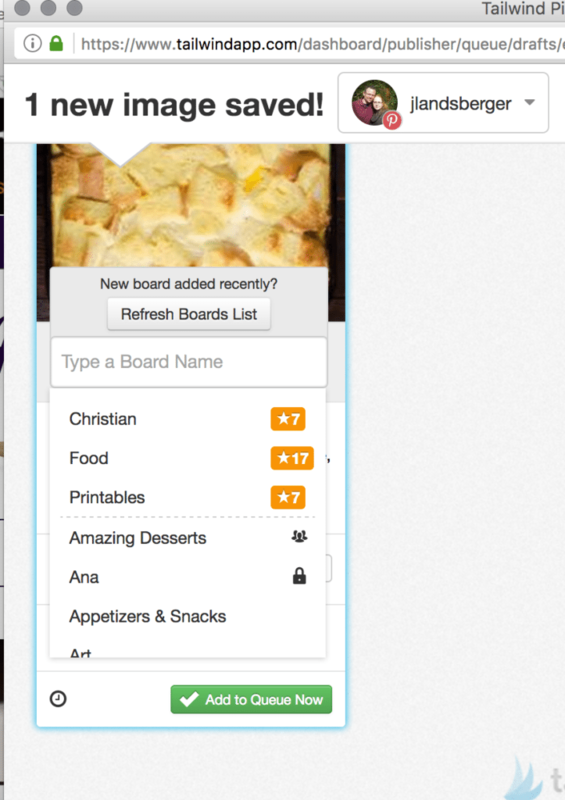 You can pin to multiple boards at the same time! And set the interval for those pins to go out. 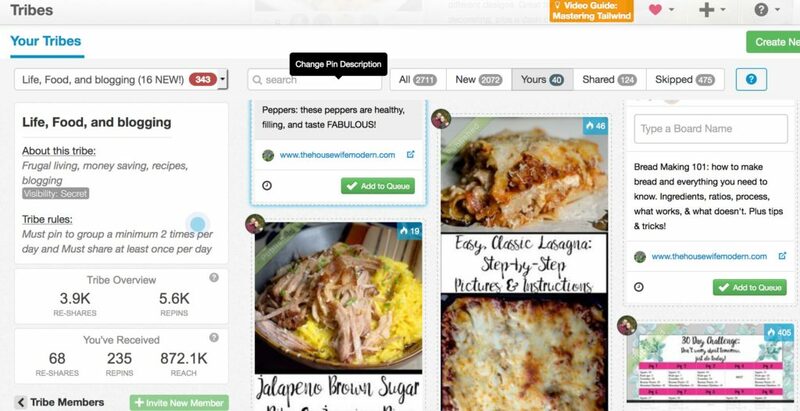 For example, I pin a food recipe to all my food boards with 7 days in between. So, I pin once and it trickles out to different boards over the next 2-3 months. This has been an amazing boost to my traffic AND it saves me having to re-pin manually. You can’t imagine the time I’ve saved. 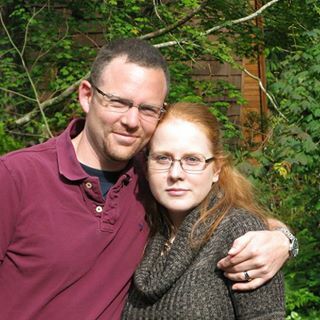 I hit publish, schedule, and my trickles out to different boards and new audiences over the next 2-3 months. I’ve just started using this feature and my traffic from Pinterest has slowly doubled over the last month. Naturally, there is a down-side. I still have to keep track of the rules of the group board. For example, I have one board that I can only pin once per day. So I have to keep a list to make sure I’m not scheduling two pins for the same day in October (since I pin a week apart, a single pin trickles out over 2-3 months to different boards). Easy as pie. Simply make a new board, and add the boards you want that to pin to. For example, I have a TON of group boards for recipes. When I go to schedule, my group boards are at the very top! I can delete any boards I don't want it on. Then set interval...whatever you want. Tribes are a new feature in Tailwind. The pros of this feature is that you can get a bunch of shares. In the image below you can see that 405 people shared one of my pins (the “30 Day Exercise Challenge” one). When you calculate how many of their followers it showed that to, you can imagine why I have a lot of page views from this single feature alone. Another pro is that it’s great for finding content to keep my queue full. A general rule is you need to pin a good deal for Pinterest to count you as an engaged person, which (supposedly) helps your account. Cons are: it now costs. In the beta phase, it was free. Screenshot of my shares to a tribe. See the many people who have pinned it?! I included Buffer even though I don’t use it for Pinterest because it’s officially a Pinterest partner AND I do use the free version for Twitter and Instagram. • One of the easiest user experiences I’ve ever had. Ever. Check out the image below: easy to switch between accounts. Very easy to add a tweet/post/Pin. And you can either manually edit time or just set the schedule. • Free trail and a free limited number of tweets/instagram posts. One of the cheapest options: after that: $10 a month or $102 for the year. Verdict: No, for Pinterest scheduling unless you’re only pinning a few limited pins. Yes, free option great for Instagram and Twitter. I can only have 10 in the queue at a time, but it’s completely free. Easiest to use option! But limited on scheduling for Pinterest. I have NOT used this service, but I have a few blogger friends who use it. With it being an app, it’s obviously not going to have the features of most Pinterest scheduling services. • Can post to more than one social media account. You can post to Pinterest, Twitter, Facebook, and Instagram. 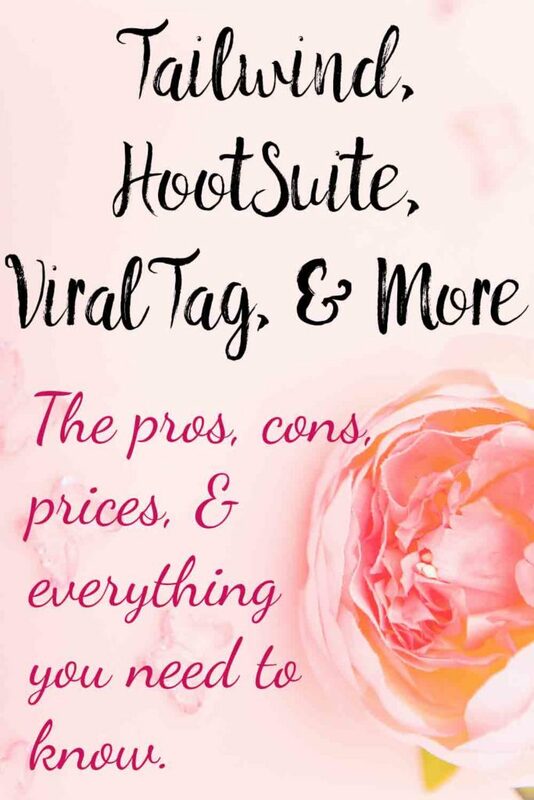 • Free up to 30 Instagram, 50 Twitter, 30 Facebook, and 30 Pinterest posts. • Limit of 30 pins per month unless you want to upgrade. • App…thus not for desktop use. If you’re a serious blogger, you’re probably using your desktop or laptop most of the time. Verdict: No, for Pinterest scheduling unless you’re only pinning a few of your own pins. Yes, free option for scheduling across different social media platforms AND want something for your phone. Right now ViralTag is free for a 14-day trial. This is good if you just want to look around. After that, it’s currently $24 a month for the individual plan (and if you pay for a year up front…otherwise it’s $29 per month), which is 1 user and up to 10 social profiles. That makes it a fairly expensive option. • You can schedule the same post to multiple social media accounts. It has a “clone post” feature. (See image). Then you can change the caption- for example, on Instagram you’ll add hashtags (which you WON’T use on Facebook). • You can change the scheduling time for each different media account. And you can pin to multiple boards at the same time (and set an interval between them so they’re not all hitting your feed at the same time). • Easy to reschedule popular pins. (But this is very easy to do on Tailwind also). • I found it easiest for simply scheduling my own pins. They do have the feature where you can browse Pinterest and add other pins to your queue (but when I linked the button wasn’t on Pinterest?) plus they have a browser add-on to pin from any site. But this is a tool for managing multiple social media accounts…I didn’t find it had the multiple features I want for Pinterest scheduling. • Expensive. $24/month, one of the pricier options. • Not an official Pinterest partner. • Hard to re-arrange queue. Not the most user-friendly. • Supposedly, they’ll give you six months free if you do a post for them promoting it. But it’s limited to 3 social media accounts, which defeats the point of this: multiple social accounts. Plus, there are a lot of requirements: including sharing them across ALL of your social media platforms. It also made it really hard to trust other judgments of the program. If someone is getting paid just to give a positive opinion (in fact, they offer to help you write it), I have to wonder how great it really is. In addition, I found a few “0 to a million pins in 1 month” type of posts. NO honest program can do that. Verdict: Maybe, if you’re doing multiple social media management. No, for a Pinterest scheduler only. You can clone a single post and then edit the caption you want specifically for the social media platform you're using. You can change the schedule for each different social media application. I debated whether to include HootSuite or not. The reason is that last I heard (it might have changed), you can’t actually post directly to Pinterest. You have to use it with Tailwind. 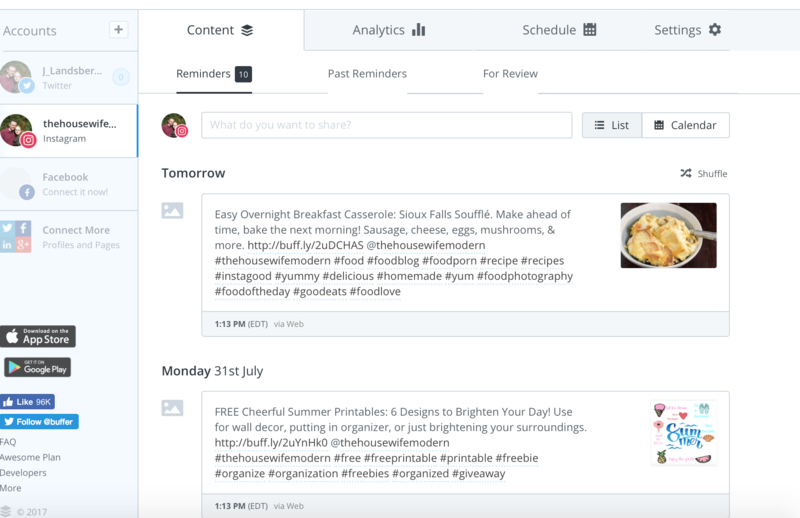 But you can (supposedly) use HootSuite to re-arrange your calendar alongside other social media. In fact, in their “follow me” social media icons…they don’t even include Pinterest. Clearly this isn’t their platform of choice. • Multiple social media accounts. Makes scheduling across social media accounts easy. • There is very limited free option. 30-day free trial on the better options. But they want credit card information when you sign-up. • Needs Tailwind. Why buy this in addition? • Not the cheapest. $19/month for cheapest plan (unless you want the extremely limited free version). • Not user friendly. At least the free version wasn’t. Verdict: Maybe, if you’re doing multiple social media management. 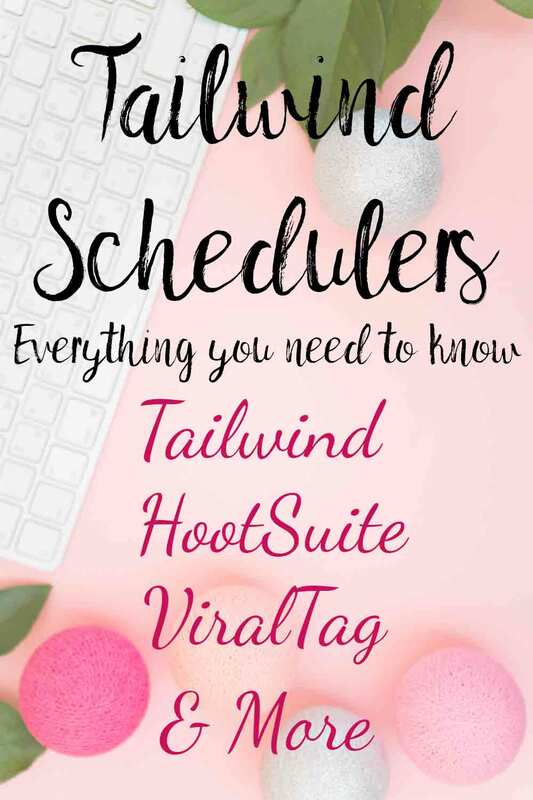 No, no, no, for a Pinterest scheduler only. I’ll be straight-up honest (as always). My only experience with ViralWoot was during the free trial I tried out. The following opinions are my limited opinion plus what I’ve heard from other bloggers. There is a free trial, but it’s VERY limited. I could only upload 3 images at a time. • You can earn credits by following other people and boards. Then you can spend those credits to get followers…but that’s also a con…see below. 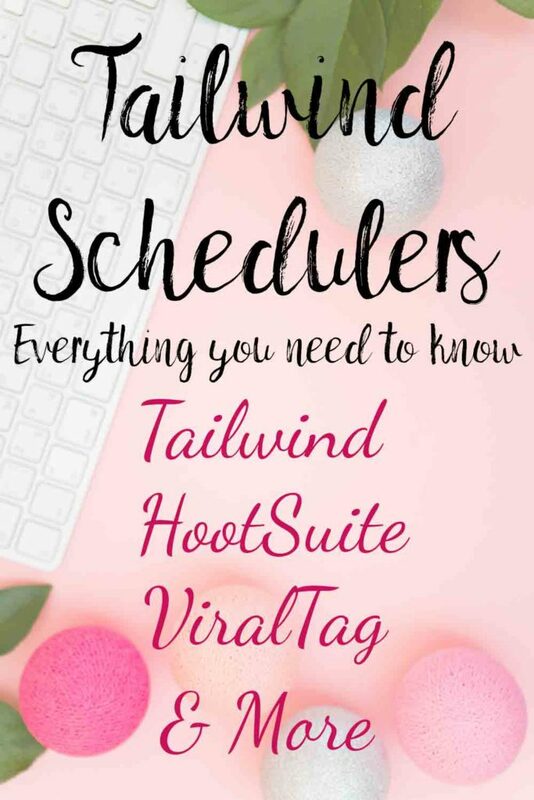 • You can create a custom schedule (as with any other Pinterest scheduling programs). • You can spend credits to get more followers. The problem with this is the main problem with any of these services: you’re not getting quality followers who are likely to visit your site or re-pin your content. • I found a Chrome extension for adding pins from all over the web…but couldn’t find one for ANY other browser. So unless you’re doing Chrome, it’s going to be a bit hard to keep your queue full. • It’s VERY expensive unless there is a hidden option I wasn’t seeing. It was $49/month. You could have 10 accounts, but only 100 pins per month per account. The free option allows up to a total of 200 pins…ever. Update August 2018: Boardbooster no longer exist. Leaving this information in case they come back. Update June 2018: Pinterest is penalizing Boardbooster posts! Therefore, I have changed this to “NOT RECOMMENDED”. Boardbooster is a decent option. In fact, I use one of their features along with my main use of Pinterest. My major problem with this is that it is NOT Pinterest approved. The price is pretty good to: 500 pins for $5.00 a month, 1,000 for $10.00 a month, etc. Instead of the normal pro-con, I’m going to analyze each feature. It makes it easier to understand. 1) You add a board. You can choose how often for it to re-pin. You set it directly for your website…so it only pulls pins on that board from your website. 2) It re-pins them…then after a set number of days, it keeps the pin with the most re-pins. 3) What this does is show your old content to followers again. Say you pinned something a year ago…people aren’t likely to see it again unless they’re really digging through your boards. 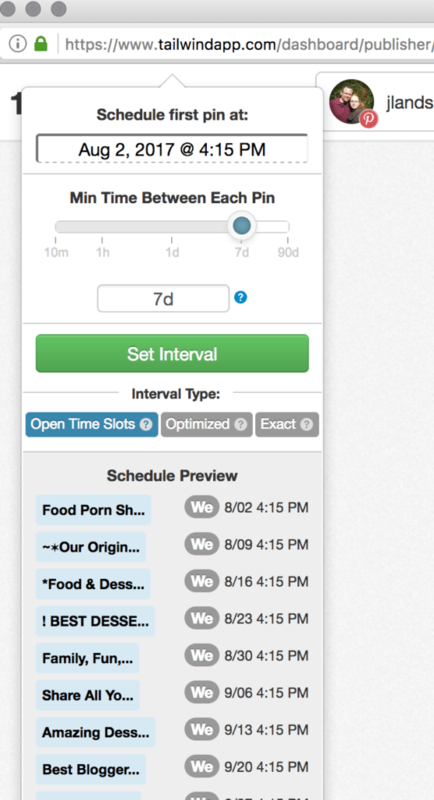 • Scheduler feature. Boardbooster sets up a “secret” board for each board you have. Then you can set how many times a day it can pin to that board. For example, I have a group board that only allows one pin per day. I just add all the pins I want to go to that board, and it will post them at a rate of 1/day. The problem: I have to use the interval feature for pinning to multiple boards, making the campaign feature of limiting pins to a single board useless. With Tailwind, I can set an interval…so it pins the pin every 7 days to a different board each time. Pros: Good for managing content to a single board, especially if you’re trying to grow interest in a particular board. Con: Bad for managing overall content. Since you’re pinning to boards, you don’t have an overall schedule. However, if you use campaigns, it doesn’t take into account board rules. For example, I have Reese’s Muddy Buddies scheduled to pin to board 1 on a certain day, but another pin is already scheduled in another campaign. If it pins them both, it violates the board rule of only 1 per day. Some bloggers use campaigns. I personally prefer the “Board Lists” feature of Tailwind which does the exact same thing. • Price: if you keep it under 500 pins a month, it’s the cheapest option.Note that if you’re doing all your pinning through here, though, you’ll probably be up a pay grade. • The Looping feature alone is worth subscribing. Especially if you’re doing what I’m doing an only re-pinning from a certain board every 5 days. I’ll easily be under 500 a month, so it’s only $5. • Not Pinterest approved. This hasn’t been a problem thus far…but Pinterest can decide at any time to block it or hurt rankings on accounts that use it. As I said…not currently an issue. • You can NOT pin to multiple boards at the same time unless you set up a specific campaign for that pin. • There is a feature to see what the top group boards are in any category on Pinterest. The problem is…most of them have no instructions on how to become a contributor. So a lot of information that precisely nothing. • Relies on “secret boards” to pin from. This results in a very, very cluttered Pin list. Take your current number of boards…then double it. That’s what you’ll be sorting through. Verdict: Currently, no. Pinterest is penalizing them. It was: Maybe, particularly if you’re interested in the Looping feature. No, otherwise…Tailwind has all these features, but does them better.